The Comprehensive Sports Concussion Program, a collaboration of The Sandra and Malcolm Berman Brain & Spine Institute, the Sinai Rehabilitation Center and LifeBridge Health Sports Medicine, provides a truly integrated and interdisciplinary team approach to patient care. The CSCP at LifeBridge Health is unique in the field because our specially trained and certified health care professionals, state-of-the-art facilities and dedicated support staff are committed to treating those with concussion from initial diagnosis to their return to the classroom, workplace or playing field. Student–athletes at high school and college levels and professional athletes at local, regional and national levels have all received care in our program. Led by a vascular neurologist, our team of neurologists, neuropsychologists, physiatrists, and physical, occupational and speech therapists, treats patients’ acute needs and manages all services required for patients’ successful integration back into the community. Team members meet formally to discuss patient progress, and patient care is shepherded by a case manager. The world changes when someone experiences a concussion — for injured players and for their families. At the CSCP, we make every effort to assist patients and their families through every step of the recovery process. The information on this website is presented to help someone who has experienced a concussion as well as someone who is seeking general information. If you would like additional information or need further assistance, please call us at 410-601-WELL (9355). 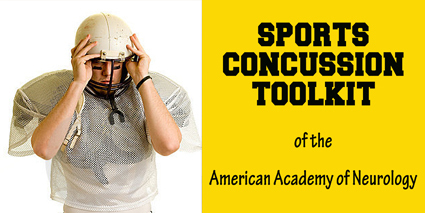 Thanks for your interest in the Comprehensive Sports Concussion Program! Watch this Washington Post story about Dr. Kevin Crutchfield and Briana Scurry, former goalkeeper for the U.S. Women's National Soccer Team. See how Briana Scurry is doing now. For more information about the treatment of concussions at the Brain & Spine Institute, please call 1-888-747-8899 or 410-601-WELL.